The Russian economy depends on income from oil exports. The public, however, does not know the names of the new owners of the country's largest oil company. In the latest development in the enigmatic Rosneft privatization deal, European banks now are asking hard questions about the new owners. While this was the largest deal on global oil markets in 2016, little is still known about it. RBTH presents some of the most important facts that we know so far. Rosneft’s privatization was one of the most important global business events in 2016, but the intensity with which experts criticized the deal for a lack of transparency has seemed to die down. Now there is a new development - European banks are asking questions about Rosneft's new owners. The focus of attention is Italy’s Banca Intesa, which lent Glencore, a Swiss commodity trading company, and the Qatar Investment Authority (QIA), 5.2 billion euros to buy the stake in Rosneft. The bank wants to syndicate the loan with other banks, but this is possible only if the deal is fully transparent. The banks that might share the credit risks with Banca Intesa want to know the identities of the final beneficiaries of the privatized shares. The "know your customer" principle will prevent most banks from participating in loan syndication if Banca Intesa does not present them with as much information as possible. It’s likely, however, that some Russian financial institutions will be able to share the credit risks with the Italian bank. What's the crux of the matter? The Russian economy depends on income from oil exports. The public, however, does not know the names of the new owners of the country's largest oil company, whose output is approximately 1 million out of the 11 million barrels of oil produced in Russia daily. Why did the government decide to privatize Rosneft? The government decided to sell 19.5 percent of state-controlled Rosneft in order to replenish the government’s budget, which faces a deficit due to weak economic growth and low oil prices, the main source of Russia's export revenues. On Dec. 7, Rosneft's head, Igor Sechin, met with President Putin in the Kremlin and announced that a deal was made with Glencore and the Qatari sovereign fund. By the end of 2016 Rosneft accomplished a double privatization deal - first buying a controlling stake in Bashneft from the government, and then selling 19.5 percent of its own shares. Thanks to privatization, in 2016 the company paid more than 3 trillion rubles (about $50 billion) to the state budget, said Sechin. President Putin remarked that this was the largest privatization deal in Russian history and the largest deal in the global oil and gas industry in 2016. 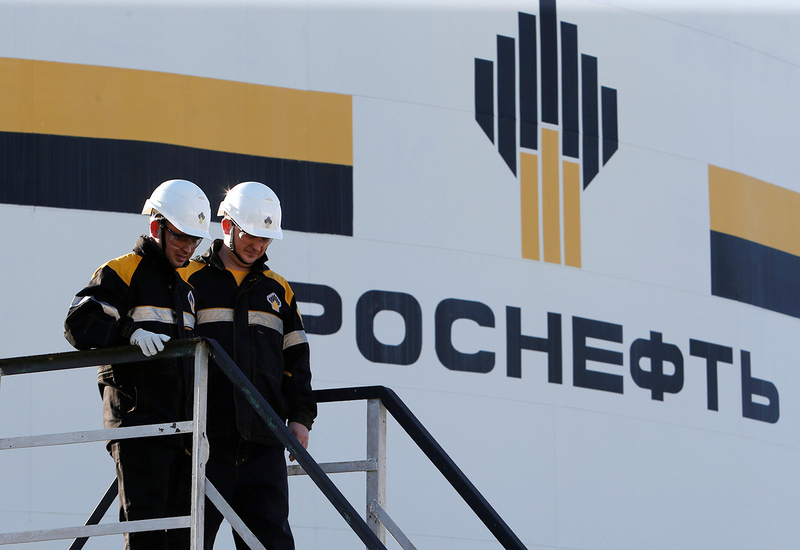 Why do many consider Rosneft’s privatization opaque? According to a report (in Russian) by RBC, it’s impossible to understand who are this deal’s final beneficiaries. Officially, the owner of Rosneft's 19.5 percent stake is Singapore-based Shares QHG Pte Ltd., which is fully owned by the British-based QHG Investment LLP, which in turn is controlled by the Qatari fund and QHG Holding. The latter is the consortium's so-called "mother company," and includes three companies - Glencore, QIA, and QHG Cayman Limited that is registered on the Cayman Islands, which guarantees confidentiality and certain fiscal advantages. QHG Cayman Limited's role in the deal and its future role in the company’s management are not clear. How is Rosneft’s privatization related to the arrest of the Economics Minister? On Nov. 15, Russia’s Economic Development Minister, Alexei Ulyukaev, who oversaw Rosneft's privatization, was detained in Rosneft's headquarters and arrested. The oil company’s management accused the minister of extorting a bribe to help with Bashneft’s privatization. The Russian media linked the arrest to Rosneft’s privatization. Political analysts Kirill Rogov, Alexander Kynev and Vladimir Milov discussed (in Russian) on Radio Liberty the possibility of a clash of two different approaches towards privatization - Ulyukaev tried to have the assets sold on the open market, while Sechin wanted to control everything himself. One theory proposed (in Russian) by Rosbalt news agency says that Ulyukaev demanded money for speeding up bureaucratic work for the deal. These are all theories, however, and the official investigation of the Ulyukaev case is still not finished. For now we can only be certain that 2016 witnessed a clash between various clans in the Russian political elite.